Improve your smile today – call to schedule an appointment! 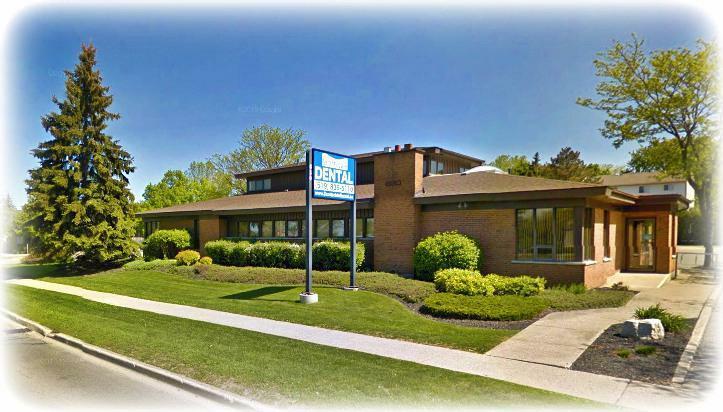 Scottsdale Dental Centre is a hometown dental practice located in Guelph, ON since 1976 specializing in comprehensive and affordable dentistry for the entire family. Our practice places a premium on excellent service, quality care and patient convenience. Our practice is all about YOU! Our office in Guelph was designed with our patients in mind. By combining a calm atmosphere with modern technology, we have a created a place where our patients in Guelph recieve high-quality care with ease and comfort. The moment you walk in, our experienced team will make you feel comfortable and cared for. Modern dentistry has many techniques, local anaesthetics, and relaxing sedation methods that will ensure you will have a comfortable experience. If you are looking for Guelph Dentists Accepting New Patients, please give us a call. High quality dental treatment delivered by a highly skilled and experienced team of focused professionals working out of our one and only location. True Family Dentistry for All Ages - We take the designation of Family Dentists seriously, and our team is trained to individualize and work with patients of all ages - from the very young, to the elderly. Early Morning, Late Evening Hours - Many families are busy juggling work and school shedules. We understand it can be challenging to balance everything. So, we work evenings and weekends for your convenience! You can make dental appointments before or after work, or around your child's school or extracurricular activities. No need to take hours off of work or take your children out of school early. Broad range of services so you don't need to be referred out! We offer multiple specialty services in one location. Family Block Appointments - We can take care of your entire family, adults and children of all ages with appointments at the same time or immediatley back to back. We know our patients and their families by name, and we treat you like family. On-Time Scheduling: We pride ourselves on our committment to staying on schedule and not double-booking. Your time is valuable and we make it our goal to start and finish at predictable times. Latest methods and proven technologies: strong numbing gels & warmed anesthetic for a gentler touch; intraoral cameras - so you see what we see. Conservative & Affordable treatment: We provide treatment that is necessary, that is functional and works, and simply looks good - all the while being affordable! Our committment is to preserve your oral health and smile for a very long time by delivering conservative treatments and addressing issues proactively before extensive and expensive-to-repair damage occurs. Sedation Dentistry - We offer great relief from anxiety so you can get years worth of dentistry completed in one visit - no need for multiple visits. For children, this allows them to grow into comfortable and confident adult dental patients without any fears or bad memories! Same day emergency care for any and all dental emergencies! Our office systems allow us to take care of you when you need us the most. Clean & Safe Dental Office - We strive to exceed federal and provincial guidelines for dental practices, so our offices are safe, clean and organized. We have a dedicated and systemized area for sterilization of all instruments. Our equipment is tested in-house and also by a rigorous independent third paty. And treatment rooms are sanitized and thoroughly disinfected between patients. Free E-mail and Text reminders for all your appointments, including those for family members. Direct Electronic Claims Submission to your insurance company.